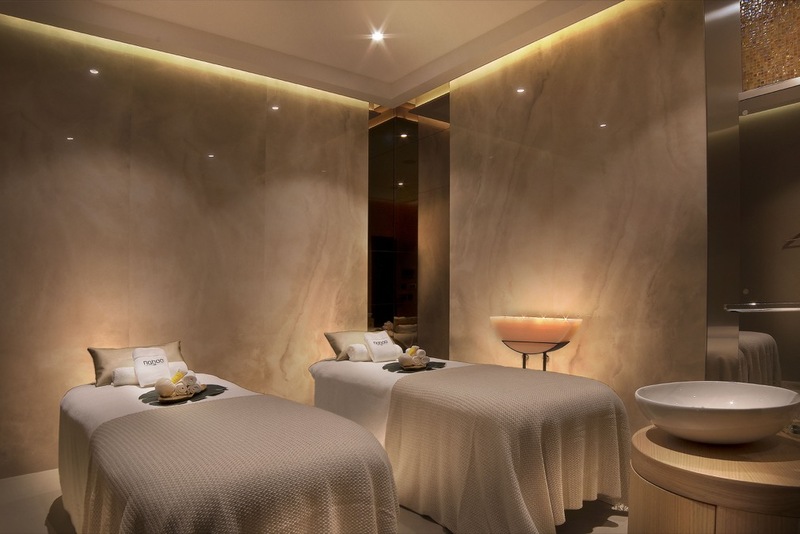 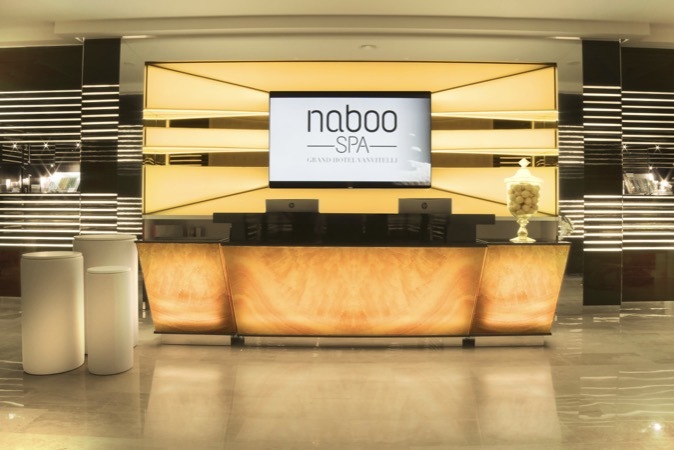 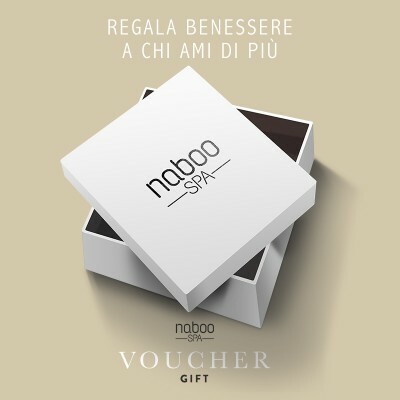 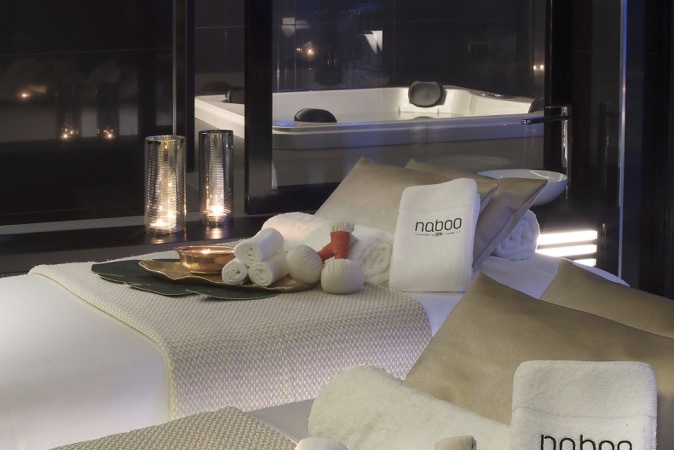 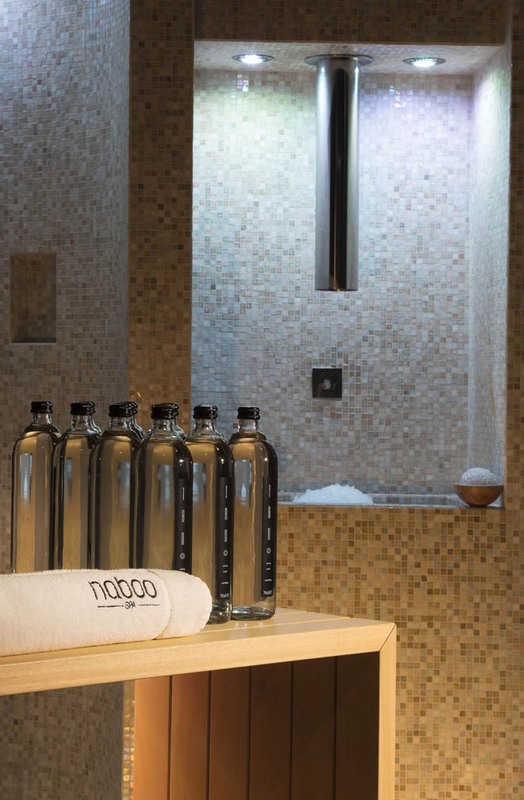 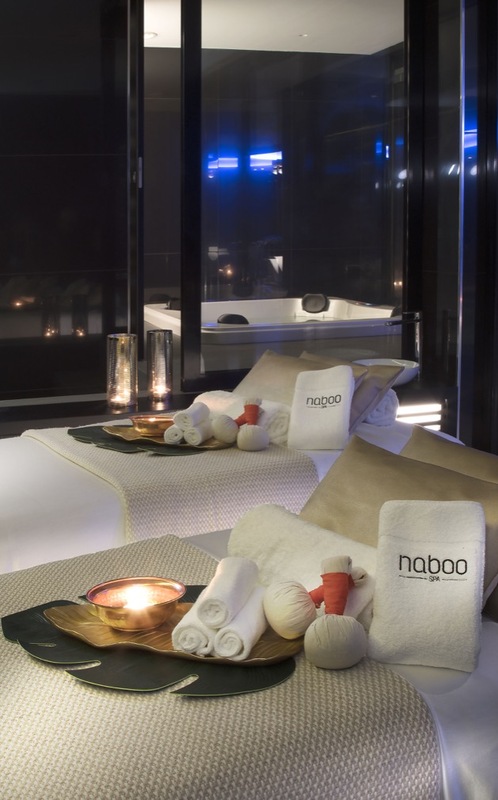 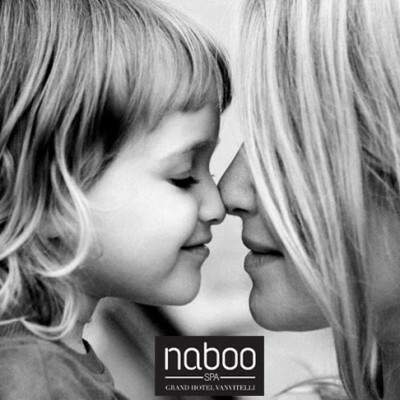 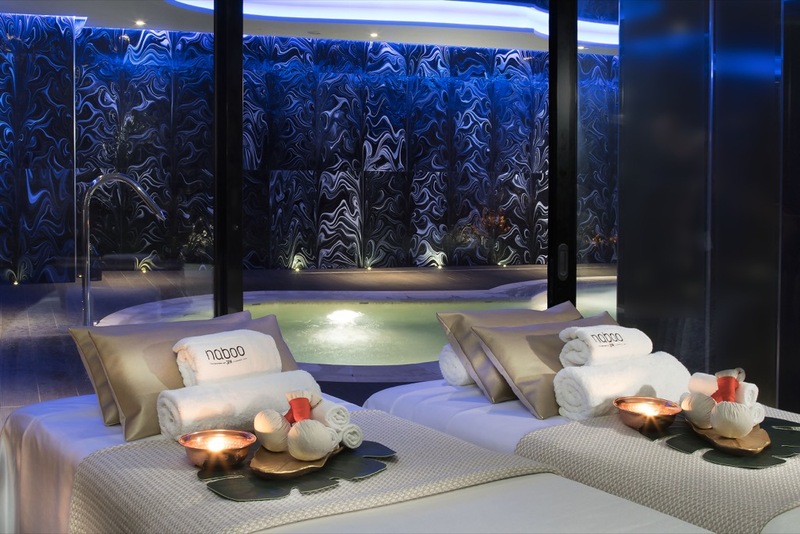 Naboo Spa is dedicated to those who wish to savor an exclusive experience where they can abandon all worries and discover real serenity and energy. 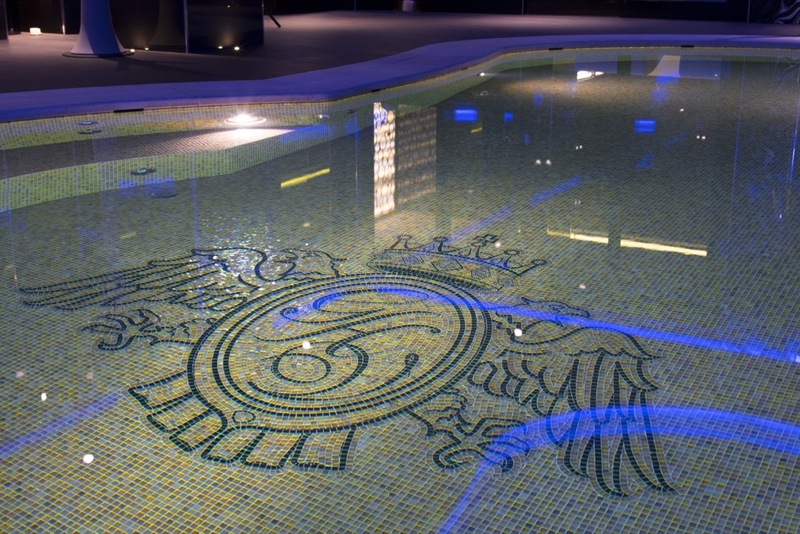 The curved heated swimming pool with jets and a blue sky backdrop is the ideal place for maximum relaxation. 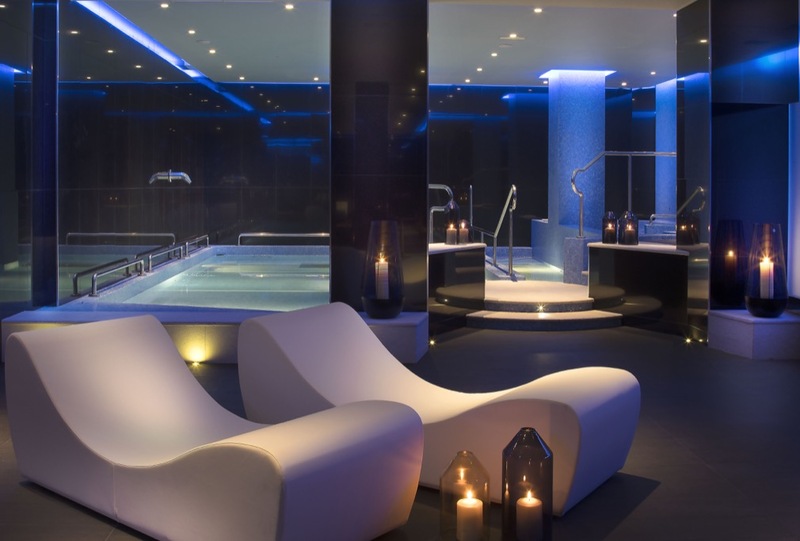 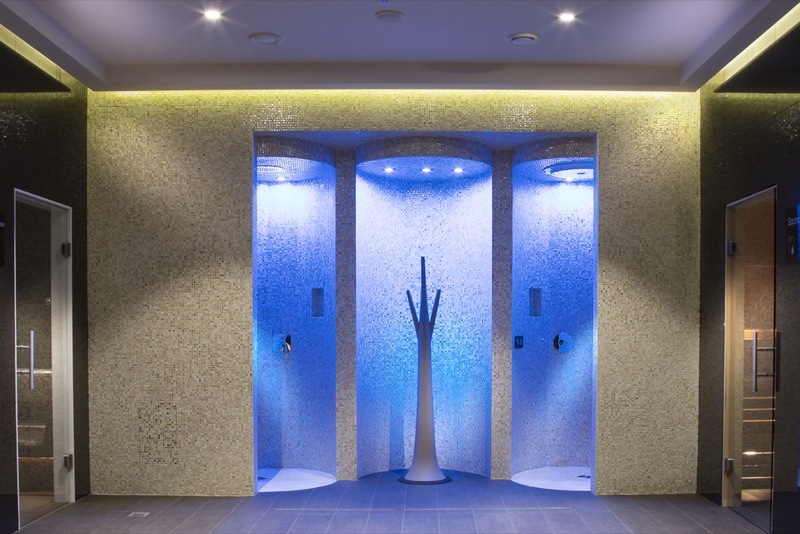 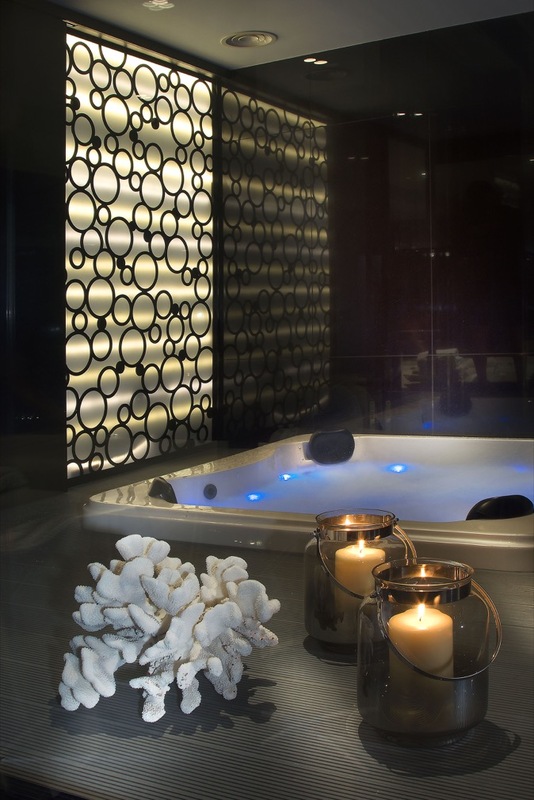 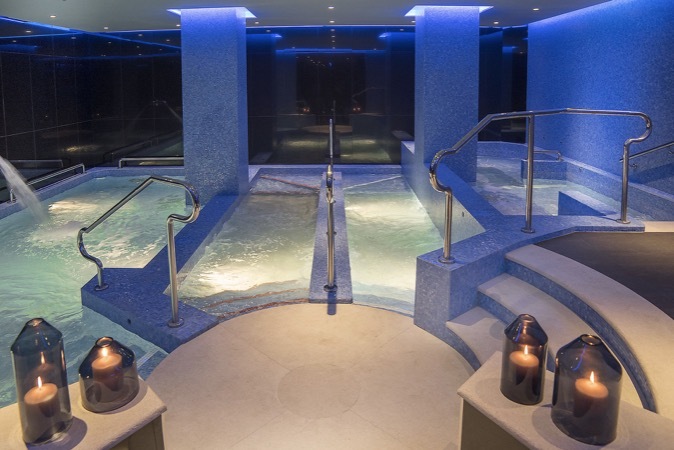 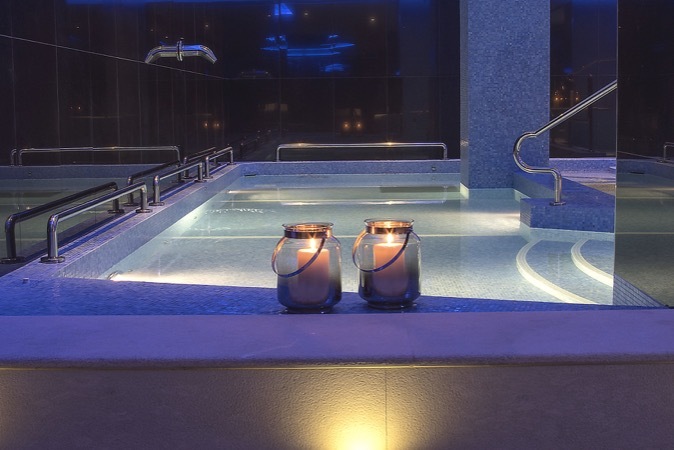 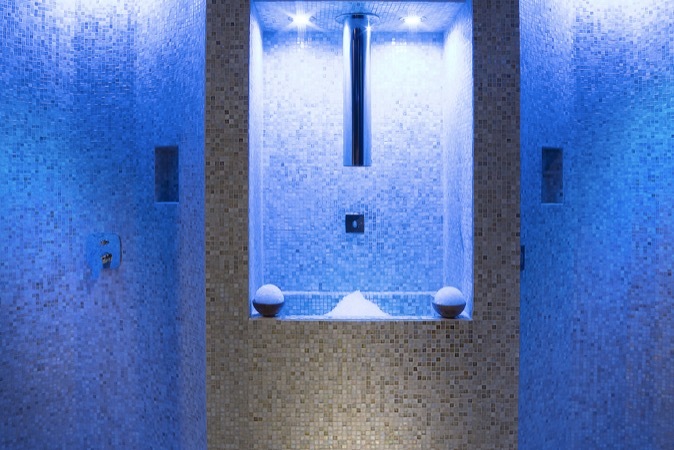 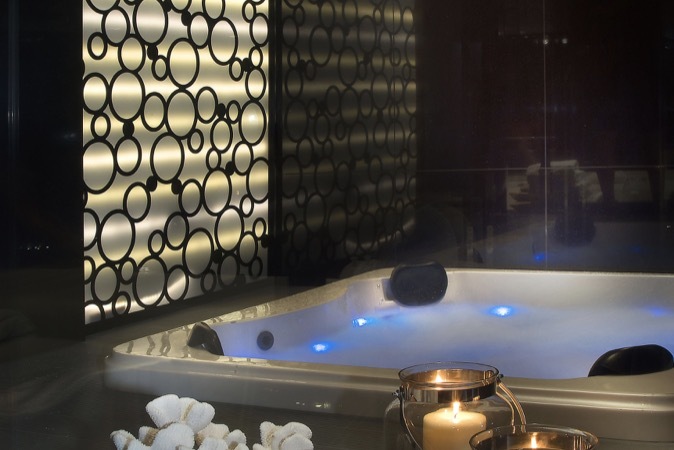 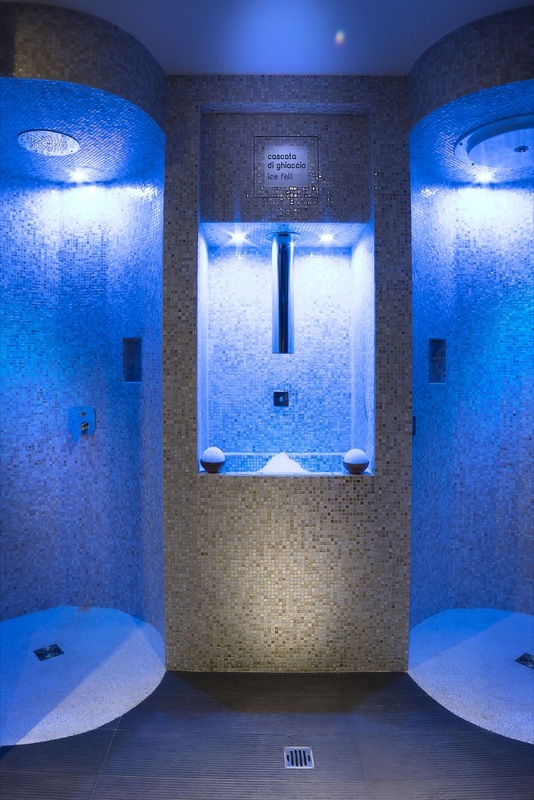 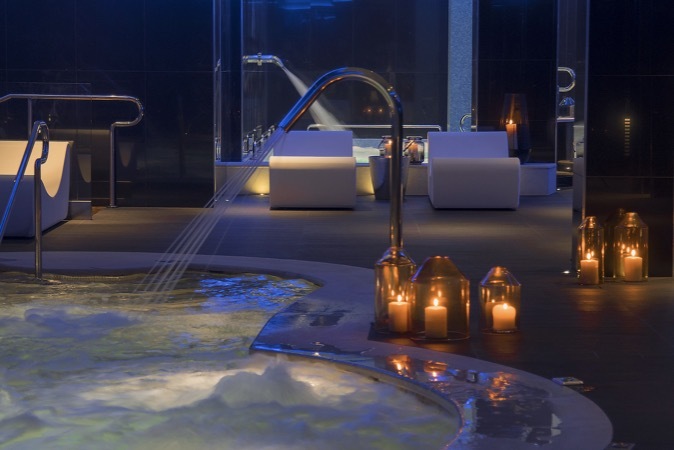 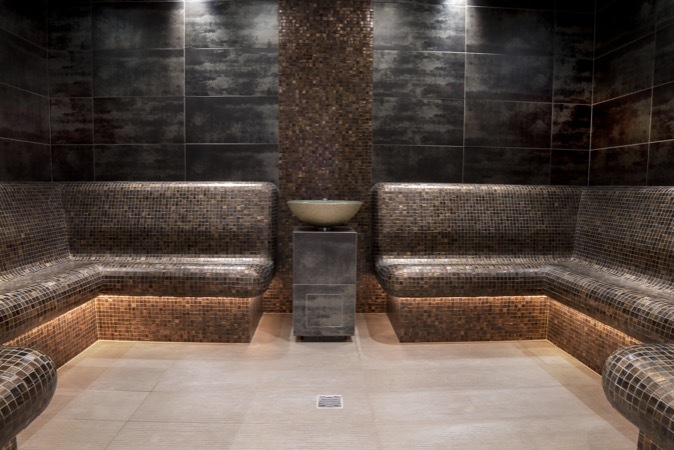 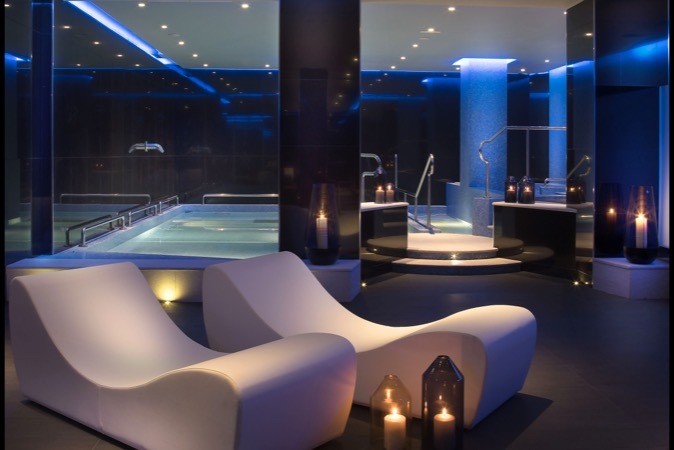 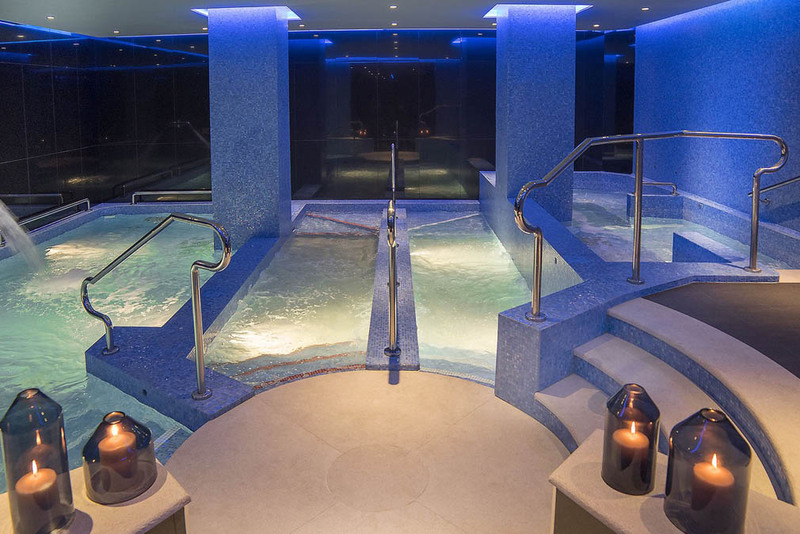 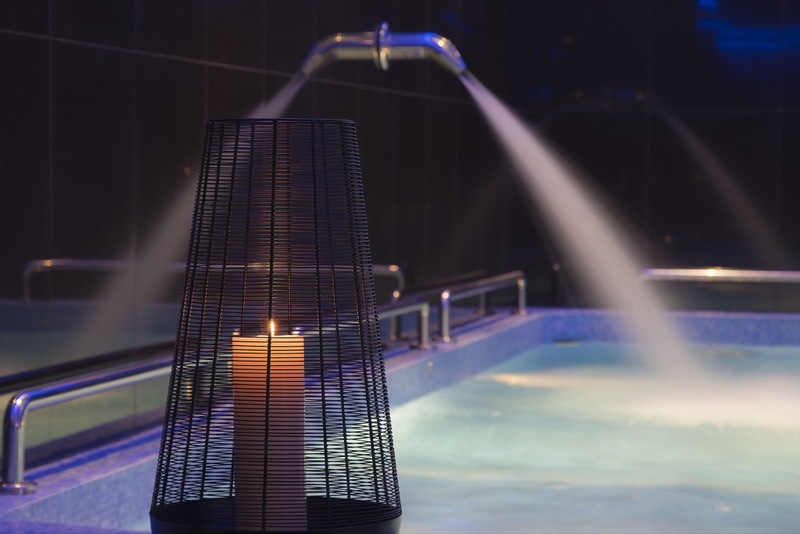 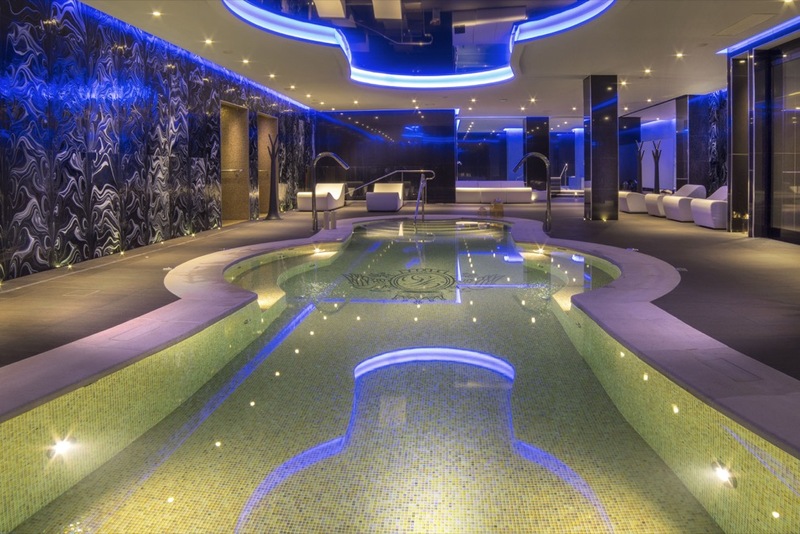 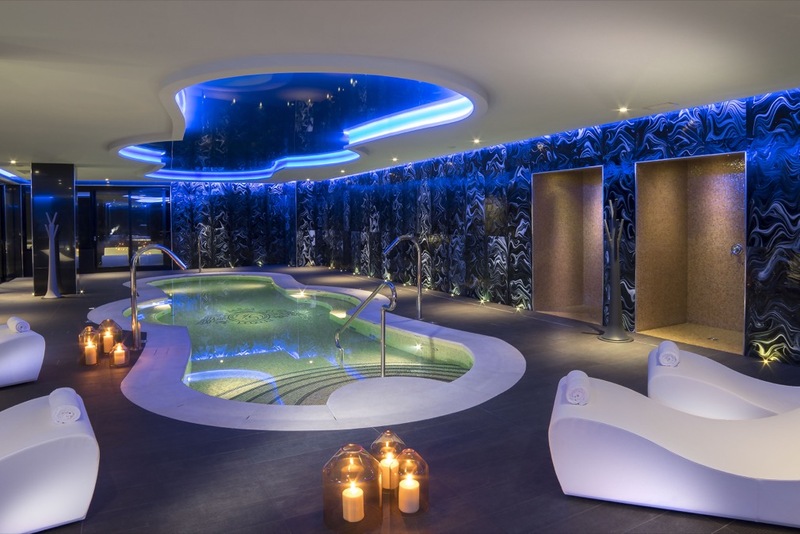 The whirlpools help to decompress your tired muscles, relieve stress, and stimulate circulation. 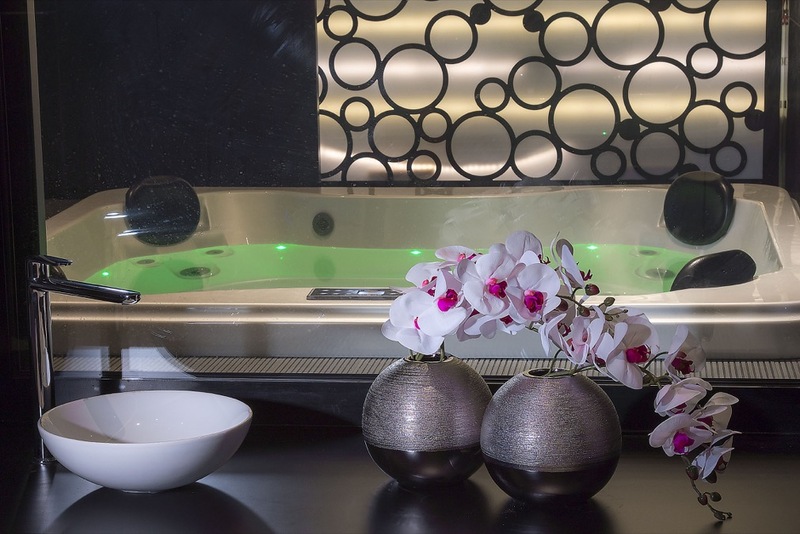 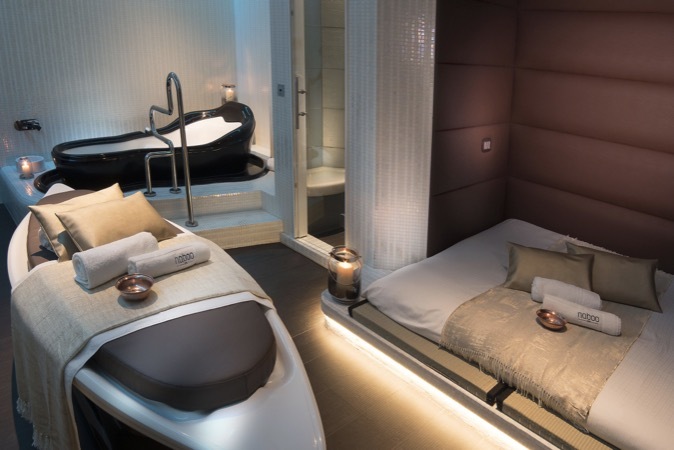 Finally, unwind on one of our water beds, the perfect place to relax, listen to music, and dream. 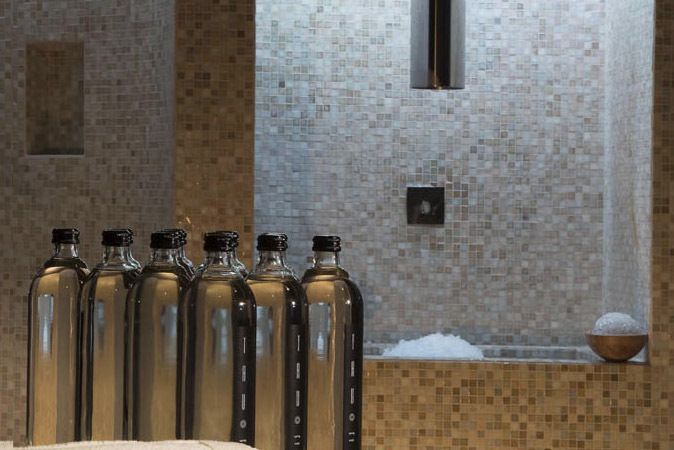 The wellness area is equipped with a balsamic herbal bath, a steam bath, and a large Finnish sauna to be alternated with aromatherapy showers and an ice waterfall. 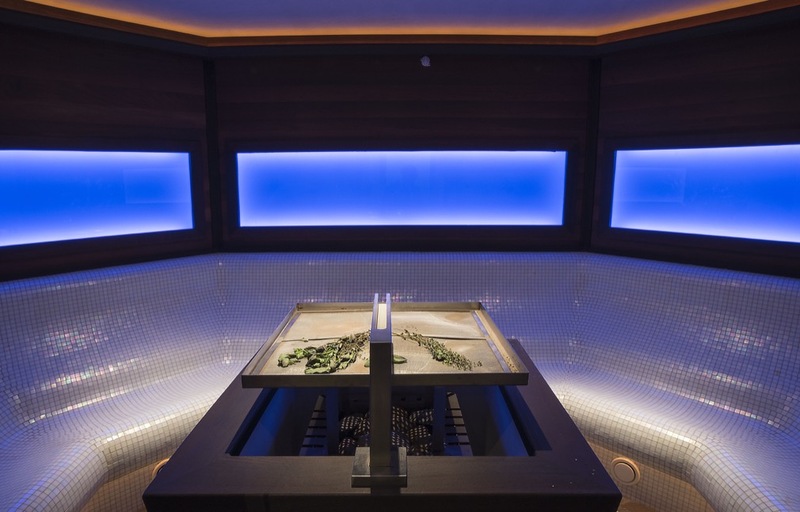 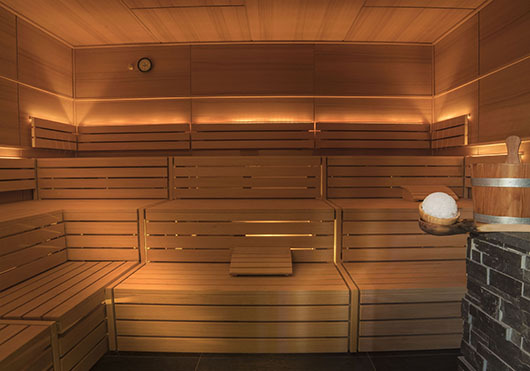 For enthusiasts, the “sauna master” is available, where an Aufguss ceremony, clouds of perfumes, and steam, will immediately make you feel more toned, relaxed, and purified. 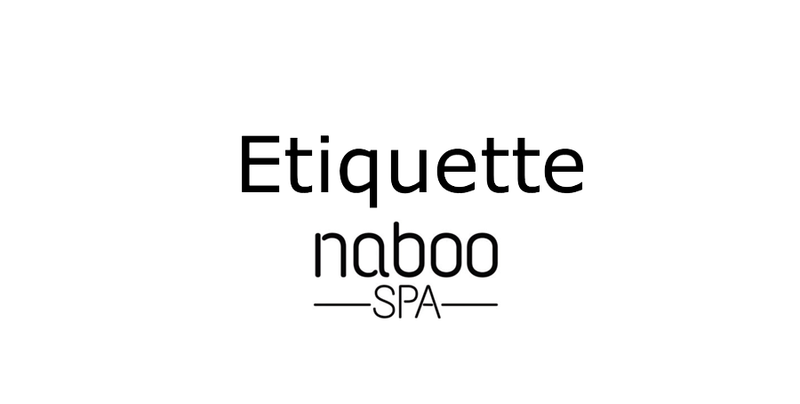 The Cloud of Naboo is a special private suite where you can relive the Hammam ritual by repeating ancient gestures that have been handed down from the east. 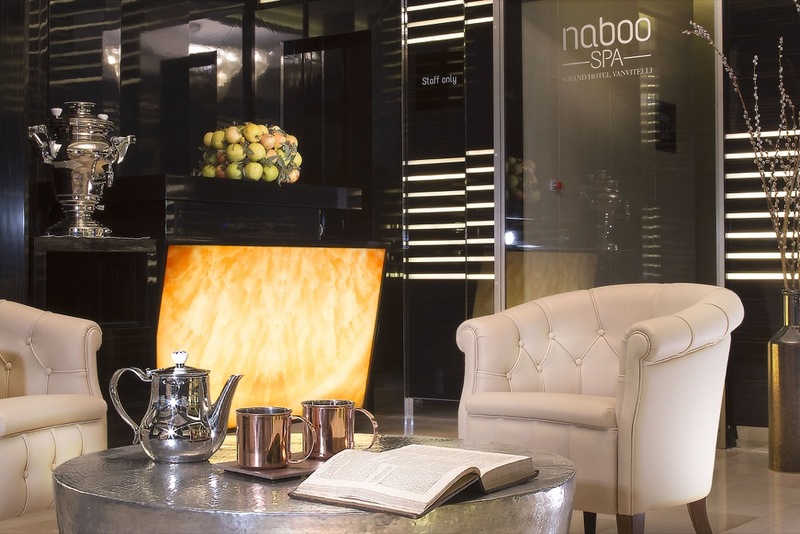 Additionally, while unwinding on one of our soft futons, you will be served herbal tea to be enjoyed in complete relaxation. 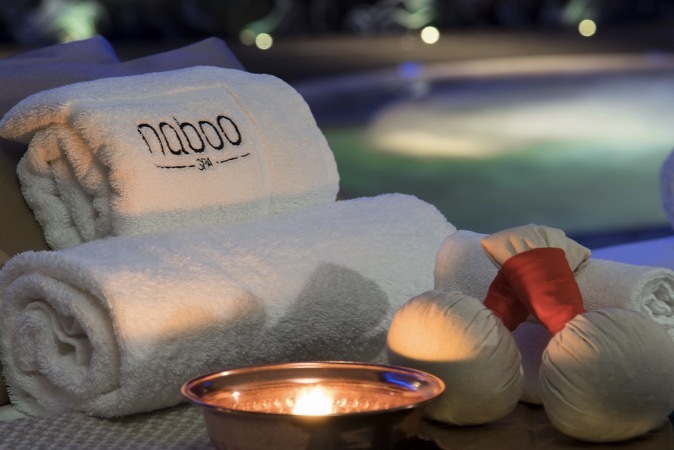 The Oasis Suite of Naboo overlooks the pool. 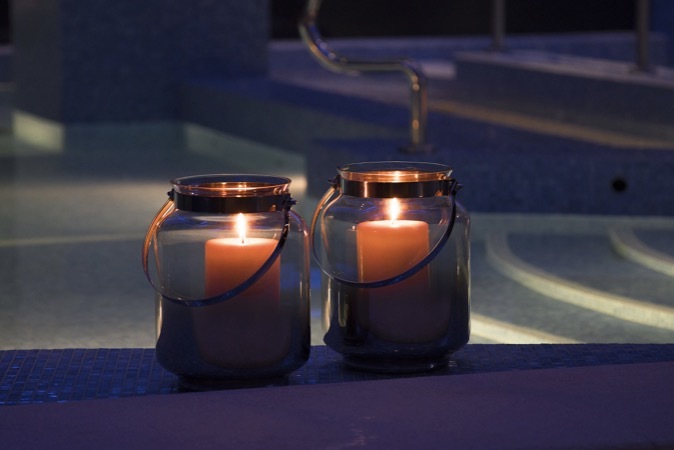 It is the perfect place to enjoy luxurious couples rituals and celebrate important anniversaries. 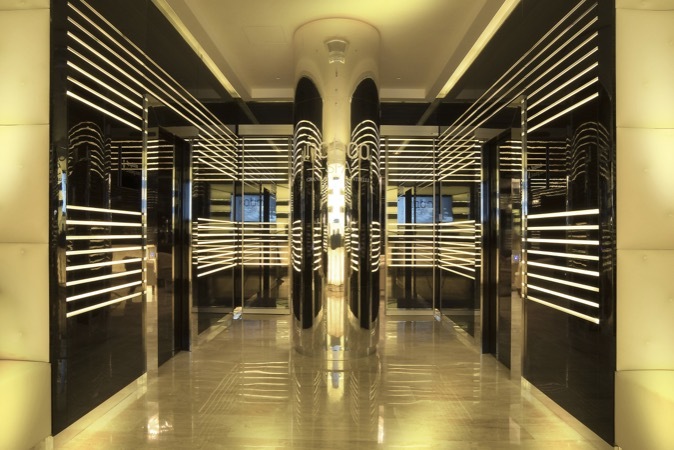 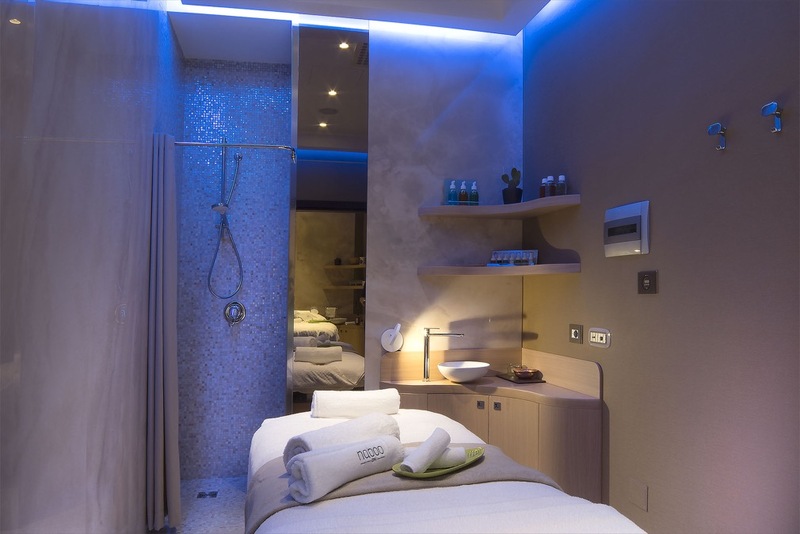 Our treatment rooms are decorated using chromotherapy in order to giver our guests maximum comfort. 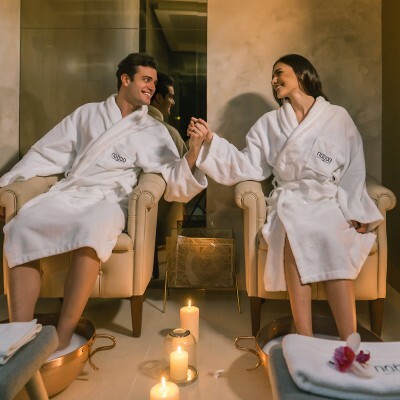 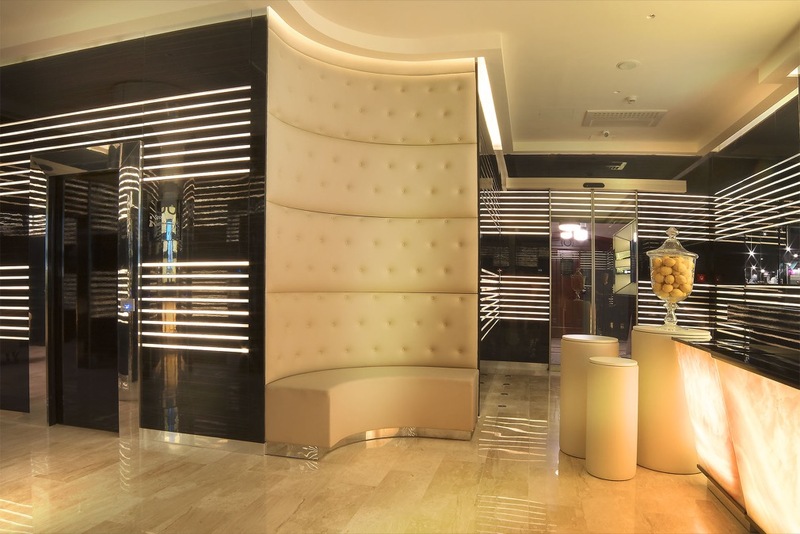 Face and body treatments are done using products by Maria Galland whose brand of excellence in the field of cosmetics is guaranteed to give results. 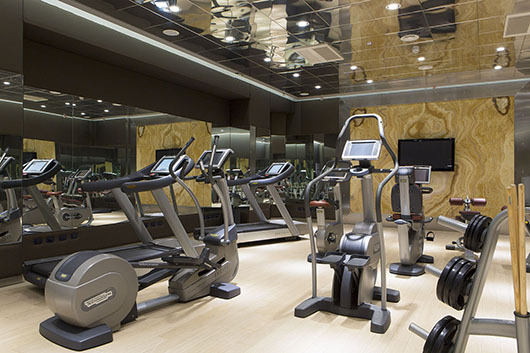 In our private fitness room, guests can work out as long as they want with the latest Technogym machines. 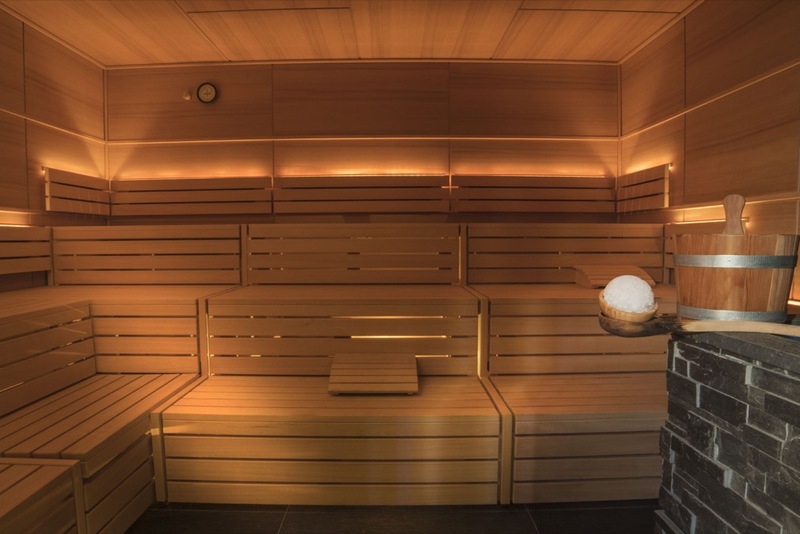 Sports enthusiasts will have the opportunity to continue training and keep fit during holidays and work breaks.